The theme for my birthday this year is SUPERSTAR. Please dress to the occasion girlies… I want GLAM, BLING, SHINING like a star. Think HOLLYWOOD baby! 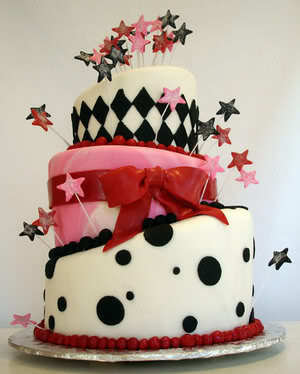 I want a cake just like this!!! Wah seh! It’s reali nothing like what i pictured it to be when u told me lor. This is even more gorgeous!!!! PLU seems a nice place, esp that super nice cosy corner we sat that time. =) will go see what other suggestions there are. superb right love?! of cos… ME LEH… how normal can it look? hahahahahahahaha it was love at 1st sight!!! the cake looks too attractive to even wan to slice it lah!!!!! ehhhhh………. now is going end feb, still got 2 more months before your birthday wor…… so early think where and theme for your birthday liao ahh….. hahahahaha…….